Spring... it's almost here! I've been working on a few springtime brunch recipes in preparation for the season and here's one of my latest. 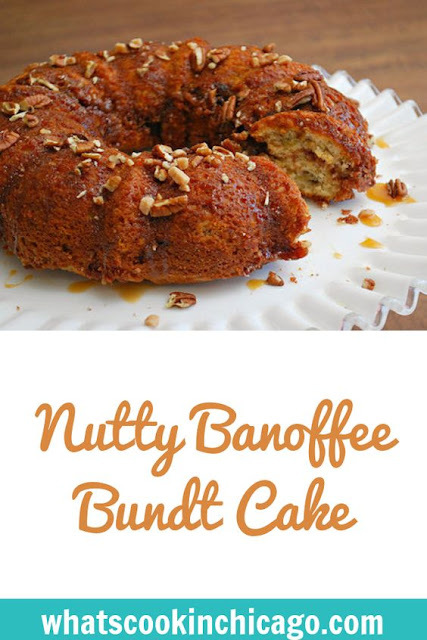 This Nutty Banoffee Bundt Cake is a cinnamon crumb cake kissed with sweet bananas, toffee chips, chopped pecans and a drizzle of caramel sauce. Cake for breakfast is always a showstopper! With some help from my friends at Krusteaz, I built on their popular Cinnamon Swirl Crumb Cake & Muffin Mix by adding a few extra ingredients. 'Banoffee' is a popular English dessert combining bananas, toffee, and caramel. 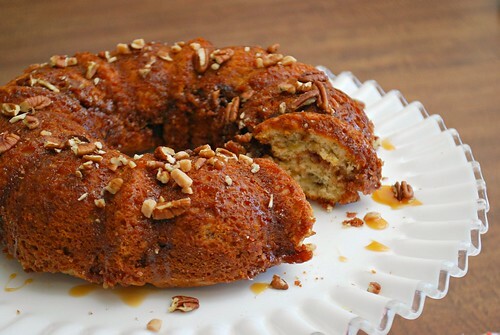 Taking those ingredients, I incorporated them into a cinnamon swirl mix and added some pecans for texture. 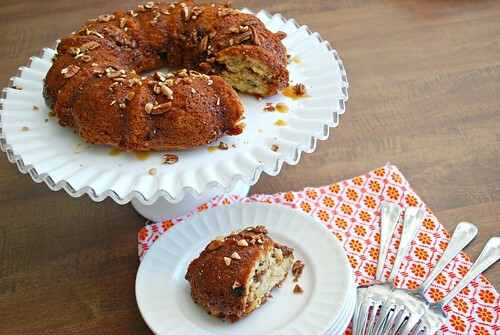 The result is a tender and flavorful bundt cake perfect for a springtime brunch. You can also choose to bake this in a regular cake pan or muffin tin too. For directions, check out the rest of the recipe on Krusteaz's website!